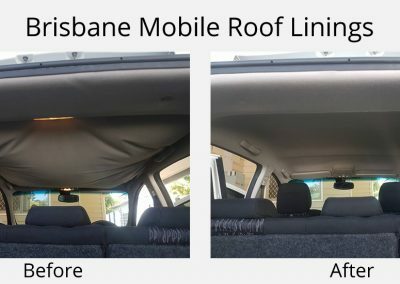 You can trust us to have your roof lining looking the way it did when it was brand new. Watch this video to see why you should trust us with your NEW roof lining! 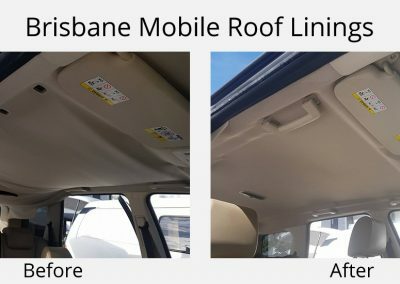 Why book your roof lining in to get done at an upholstery shop? 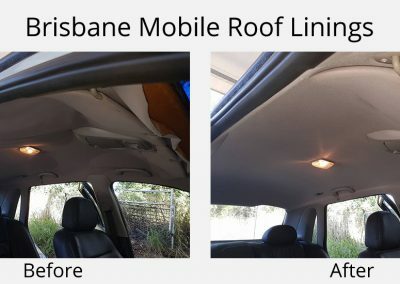 When Mobile Roof Linings Brisbane can fix your saggy hood lining in 1 hour at the comfort of your own home or workplace in Brisbane, Ipswich & Gold Coast. 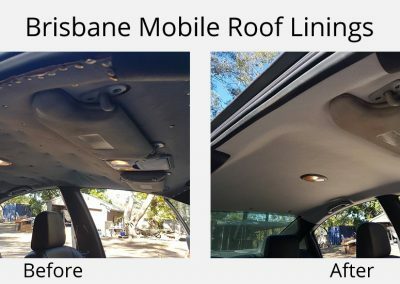 With 10 years experience, you can trust Mobile Roof Linings Brisbane to have your roof lining looking the way it did when it was brand new. We come to you. We will fix your saggy roof lining within an hour while you enjoy a cup of tea or coffee in the comfort of your own home or office. 10 years experience. 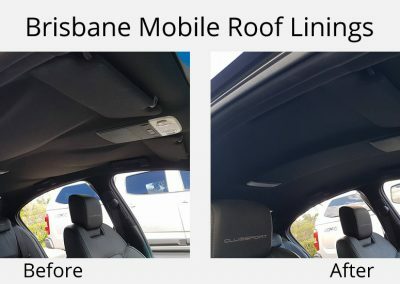 Replacing headliners in every car from your humble Commodore or Falcon right up to the more complex jobs of European cars with sunroof. 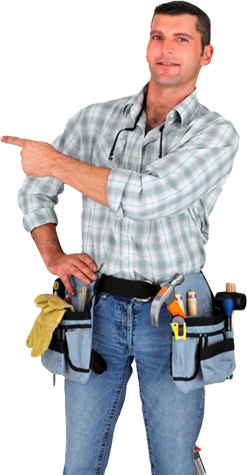 Quality assurance can be guaranteed and a 5 year warranty comes with every job. 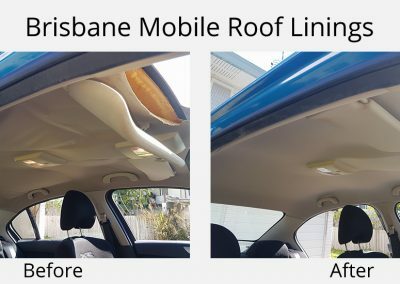 At Mobile Roof Linings Brisbane we come and replace your saggy roof lining at the comfort of your own home or workplace in Brisbane Southside, Brisbane Northside, Ipswich & Gold Coast. Hi Jesse and Jackson, Just a short text to let you know how pleased I am with the work you did on the ceiling of my car. 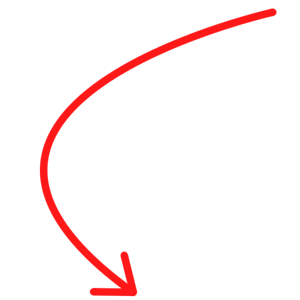 You were professional, prompt, pleasant and did a very pleasing job. I'd happily recomment you to others. Recently had our roof done & I was blown away, It is probably better than brand new! Amazing job. Extremely happy with new roof lining to Magna, A very professional job done in only an hour at a very competitive price.